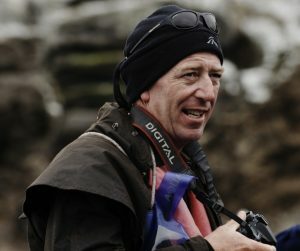 As an award-winning wildlife photographer and adventurer, Mick Fogg has spent the past 17 years leading expeditions and photographing some of the world’s most remote and spectacular destinations from Antarctica to South East Asia. He has contributed to articles on Antarctica, Borneo, Indonesia, Malaysia, Papua New Guinea and Australia to newspapers and magazines around the world. His photographs have been published in a long list of travel and natural history publications; ranging from Cruise Passenger Magazine to New Scientist. Mick has designed itineraries and led over 200 expeditions through Antarctica, the Sub Antarctic Islands, New Zealand, Australia, Vanuatu, New Caledonia, French Polynesia, The South Pacific, The Solomon Islands, Papua New Guinea, Indonesia and Malaysia. Since graduating as a Marine Biologist from Australia’s James Cook University of North Queensland, Mick has been able to combine his passion for exploration and travel with a desire to educate people about the myriad of wonders that abound in nature’s richest realms. Having witnessed the destruction of the rainforests and the plight of the orangutan in Borneo first hand, Mick began a journey to empower people to address these issues and bring hope to the future. 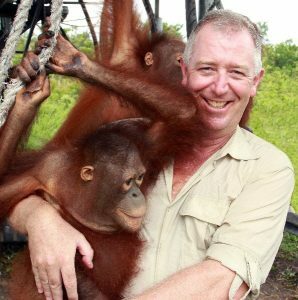 After a number of years, Mick was rewarded for his conservation work in Indonesia by being appointed an Ambassador for OFI Australia. Mick joined Ponant Yacht cruises and Expeditions in June of 2014 as the expedition manager for Asia Pacific bringing his years of experience in itinerary design and operation to the company. When not exploring the planet, Mick spends his time with his two greatest loves – his wife, Karina and their son, Harrison.